Sony is working on a new smartwatch made of electronic paper that can change it’s appearance depending on how you use it, The Wall Street Journal reports. 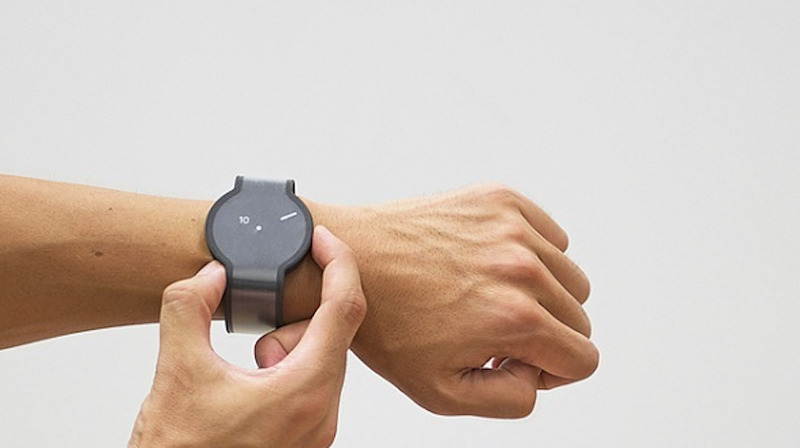 The device, called the Fes Watch, is part of Sony’s new project called Fashion Entertainments, which examines how electronic paper can be used to create fashionable wearable tech products. Sony has been hiding its name from the project — a strategy that those working on the product think is key to its success. “We hid Sony’s name because we wanted to test the real value of the product,” a person involved in the project told The Wall Street Journal. The electronic paper concept isn’t restricted to watches, as the company is also said to be working on a bow tie made of the same material. The watch has been advertised on a Japanese crowdfunding website since September, where it’s raised about $US23,000 so far (2.7 million yen). Those who have backed the watch will be able to order it after May of next year, although Sony hasn’t commented on pricing or availability. In the video posted on Fashion Entertainments’ YouTube page (via The Verge), you can get an idea of how the watch changes. It looks like the watch’s colour and design slightly changes when you raise your hand to look at the time, according to the video posted on the watch’s crowdfunding website. The Wall Street Journal’s report comes two days after Bloomberg first reported that Sony is working on an e-paper watch. It looks like the watch’s main selling point will be its flexible design that changes depending on your gestures and movements, and we haven’t heard about any additional features just yet. The watch is expected to last for about 60 days on a single charge. Check out the full videos below.